Greenup, Kentucky native D. Duane Gilliam graduated with high distinction from the University of Kentucky in 1967, receiving a Bachelor of Science degree in Chemical Engineering. As an undergraduate, he was a member of Tau Beta Pi, the national engineering honor society and received a science scholarship award. Mr. Gilliam is also a 1996 graduate of Harvard University’s Advanced Management Program, a highly competitive and rigorous residential program that explores the latest management thinking in an increasingly competitive global arena. He has also participated in energy and management programs at Indiana University and Oxford University. Mr. Gilliam joined Ashland Inc. in 1967 as a process engineer, designing equipment for refining and chemical operations. He was promoted to manager of Oil Movements and Economics in 1972. Since that time he has held a number of positions of increasing responsibility, including executive assistant to the group vice president of refining; vice president of Ashland Bermuda; and chief executive officer of Petromin-Ashland, an Ashland joint venture in Jeddah, Saudi Arabia. In 1984, he was named executive assistant, director and vice president of administration for Scurlock Oil Company in Houston. After holding various executive positions within Scurlock, culminating with being named president in 1990, he was named president of the newly combined Ashland subsidiary, Scurlock Permian Corporation in 1991. This acquisition and merger nearly tripled Ashland’s domestic crude oil gathering capacity. Scurlock Permian is one the nation’s largest independent crude oil gathering and marketing companies. It purchases, sells and trades crude oil in 18 states, and supplies roughly 97,000 barrels per day of Ashland ‘s crude oil needs. 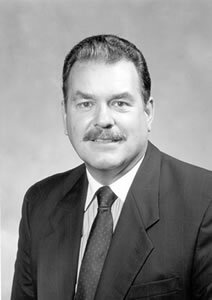 Between 1992 and 1997, Mr. Gilliam was named group vice president of Ashland Petroleum Company’s Crude Oil Supply and Transportation; executive vice president, Petroleum Operations; senior vice president for Ashland Inc.; and president, Ashland Petroleum Company. He accepted the position of executive vice president in January 1998 with Marathon Ashland Petroleum in Findlay, Ohio. In January 2001, he was named to his current position as executive vice president, corporate affairs. Mr. Gilliam’s expertise and experience were key in the completion of Ashland Petroleum’s merger with Marathon Oil Company. Business integrity and ethical business practices have long been ideologies of Mr. Gilliam and accordingly, he established an office of Business Integrity for Marathon Ashland Petroleum (MAP). Mr. Gilliam also leads MAP’s highly successful environmental and safety efforts. Under his guidance, MAP signed the guiding principles of the American Chemical Council’s Responsible Care program, designed to improve performance in the areas of health, safety and the environment. His efforts have also earned the company recognition for its environmental initiatives with the wildlife certification of nine MAP facilities, including the Catlettsburg, Kentucky refinery’s Savage Branch Reserve. Spanning more than three decades of service, Mr. Gilliam’s professional memberships and activities include the 25 Year Club of the Petroleum Industry; director of the American Petroleum Institute, an organization of 400 member corporations supporting a strong, viable U.S. oil and natural gas industry to meet the energy needs of consumers in an efficient, environmentally responsible manner. He is currently serving a two year term as chairman of the Board of Directors of the National Petrochemical & Refiners Association (NPRA), an organization serving as advocates for the industry, facilitating technical advancement and educating the public and policy makers about the vital role of the refining and petrochemical industries; member, executive and issues committee, NPRA; chairman, Owner Representatives Board of the Louisiana Offshore Oil Port LLC; board of directors and compensation committee, Colonial Pipeline Company. Mr. Gilliam plays an active role with numerous civic organizations including the Hancock County Chamber of Commerce Board of Directors and Executive Committee, the Community Development Foundation Operating Board and Executive Board, the Findlay Airport Executive Advisory Board, the Blanchard Valley Health Association Board of Trustees and the Blanchard Valley Health Foundation. He serves on the Board of Trustees of The Ohio Foundation of Independent Colleges, Inc., a non-profit entity that raises unrestricted funds and scholarships for its 35 member institutions. Mr. Gilliam and his wife, Mary Margaret Hixson Gilliam, reside in Findlay, Ohio. They are the parents of four children, Dennis, Michael, Matthew and Kelsey, and have four grandchildren.